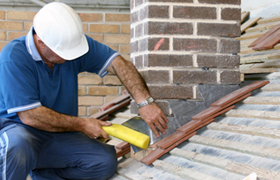 As one of the premier roofing companies in Bilericay, M Picket Roofing provides all aspects of roofing services in and around the South West Essex area with no job too big or small. Our satisfied customers include domestic, business and corporate clients, and we pride ourselves on our excellent reputation for providing the highest standard of work. Roofing is our focus and speciality, with many satisfied customers who have employed us to create everything from an entirely new roof to a simple roof repair. For the very best in domestic and commercial roofing, whether it involves tile, felt, asphalt, slate or lead contact us today for a no obligation quotation.